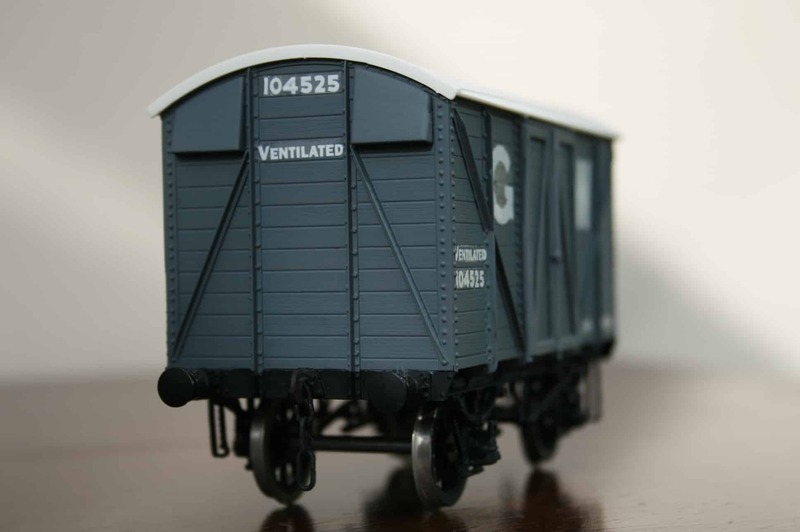 This “O” gauge GWR 12T Ventilated Van with running number 104525 in matt grey livery was built & painted from the PECO kit. It is in very good running order with compensation to one axle. The wheelsets are metal tyred with metal axles. It is in very good little-used condition with sprung buffers & scale couplings.